I confess I hadn’t really done my homework properly. Someone told me that there was some rather good cooking in a West Boldon pub and that it was worth checking out, but that’s all I knew. So I was quite unprepared for the gloriously spectacular and completely idiosyncratic scene that greeted us as we shuffled in. 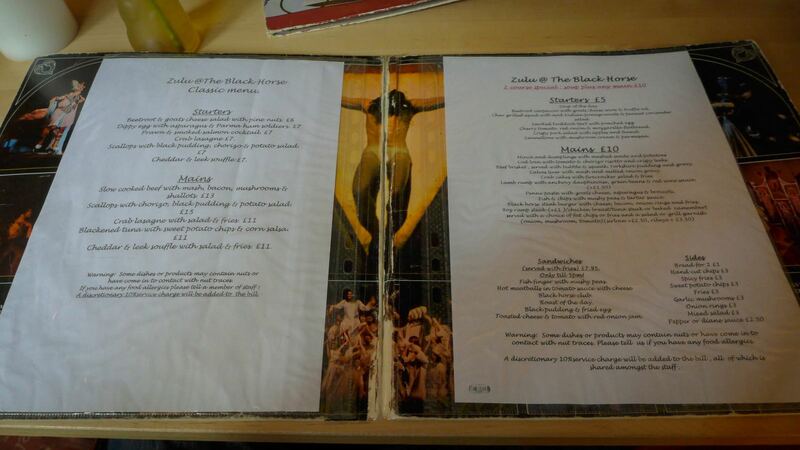 The menu is headed “Zulu @ The Black Horse”. 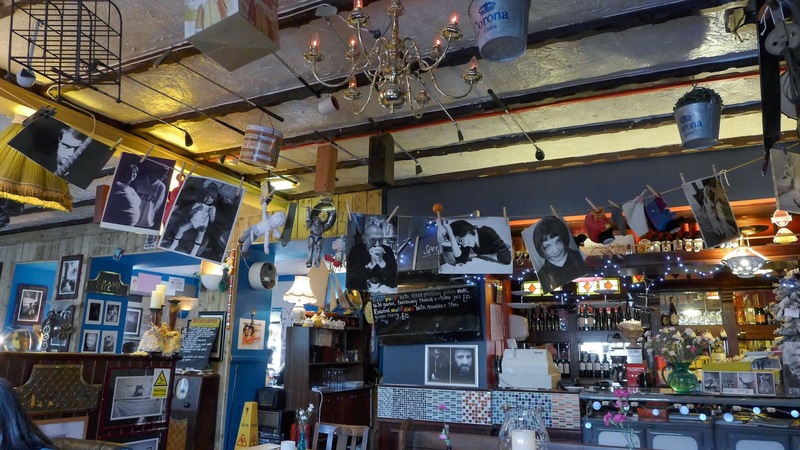 Were we going to be in for a night of ethnic South African cuisine? Nope: Zulu is Pete “Zulu” Robson, one-time front man of punk outfit The Toy Dolls, latterly a chef, pub-owner and avid collector of...well, just stuff. Lots and lots of stuff. The dining room looks as though a bomb has gone off in a car boot sale. It could be the setting for one of those extreme hoarder reality TV shows. There are movie posters, electric chandeliers, ice buckets and golf clubs. Pegged to a washing line are Zulu’s black and white photography and knitted Thomas the Tank Engine characters. I take an ephemera and nick-nack-strewn path to the loo, a route lined with books, posters and obsolete electronics. Washing my hands, I notice what sounds like a movie soundtrack playing from an in-toilet speaker. In a world where restaurant fit-outs gravitate towards Farrow and Balled standardisation, this is a hilarious and slightly mad blast of something different. I really, really liked it. The food is really pretty good too. 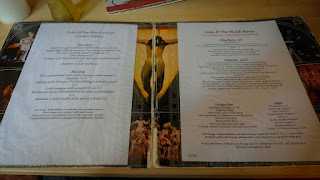 The menu - mine arrived stuck inside a gatefold Jesus Christ Superstar vinyl record cover - is split into an à la carte list, and a directory of “classics” - Zulu’s partner tells us that removing any of these would cause a small riot. This menu is almost as eclectic as the décor. There are soufflés and burgers, scallops with black pudding and mince with dumplings. You can have fish and chips, or beetroot carpaccio. Like the pub itself, it’s busy, and slightly baffling, but it all sounds like fun. Both of our starters made good use of artery-battering quantities of dairy. A decadently rich crab lasagne swam in a pool of cream and cheese, the funk of brown crab just about audible over the calorific din. Mrs Diner’s cannelloni was another riff on a similar theme, a soft crèpe full of mushrooms practically drowning in cream and parmesan. Both were over-the-top, and none the worse for it. 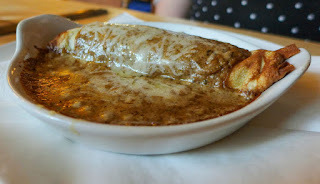 My main course was the highlight of the evening. 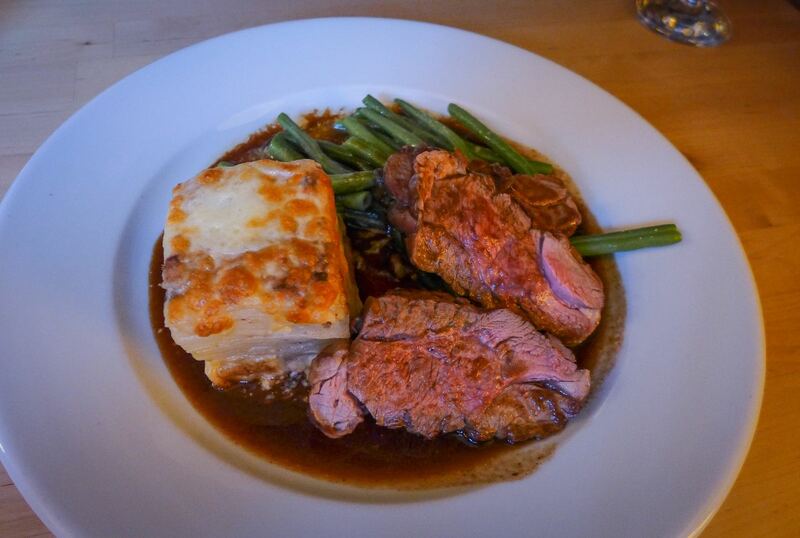 Two perfectly blushing hunks of lamb rump arrived alongside the utterly sensible accompaniments of anchovy-seasoned dauphinoise, green beans and a glossy belter of a red wine sauce. Certain things go so well together, it’s practically a relief to see them in each other’s company. Mrs Diner’s main of brisket and bubble and squeak with Yorkshire pudding and gravy was less stellar, the whopping great puck of meat being a touch dry, but still enjoyable enough. The gravy tasted ever so slightly of stock cube. 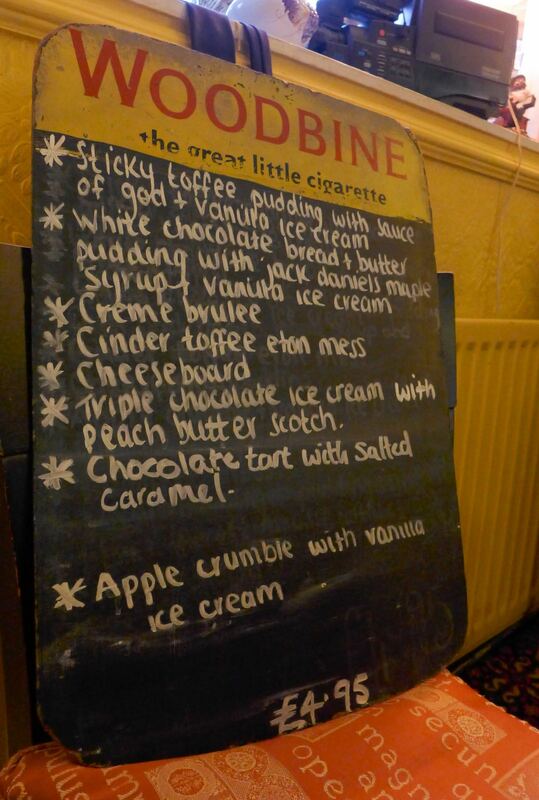 The pudding menu wrote us cheques that the cooking didn’t quite cash. 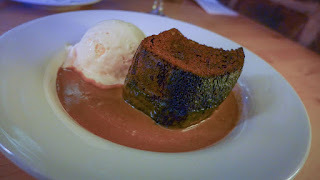 A sticky toffee pudding with “sauce of God” looked, and tasted, more like a microwaved light sponge with a slightly wan, underpowered caramel sauce. This was a shame. Cinder toffee Eton mess was also better on paper than in reality. The meringue wasn’t especially good, and two types of sugary stuff with cream didn’t work nearly as well as having one replaced with some real fruit. Classic dishes are classics for a reason. 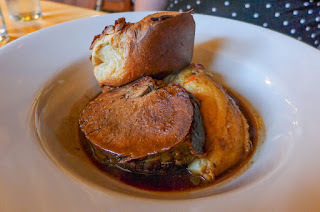 I get the sense that the impressive breadth of the menu at The Black Horse is partly facilitated by the suitability of certain dishes for the art of reheating. 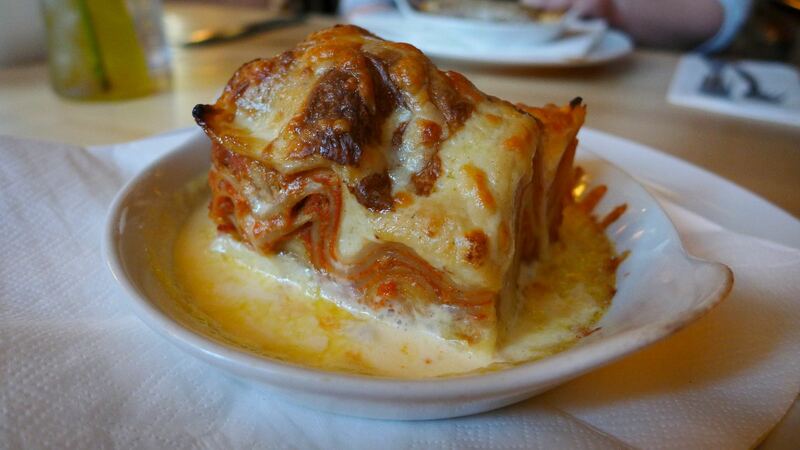 In some cases, such as that crab lasagne, this worked out just fine. In others, less so – I’m looking at you, sticky toffee pud. But when accurate à la minute cooking is required, this kitchen is quite up to it. The lamb dish was one of the most straightforwardly tasty you could hope to find. 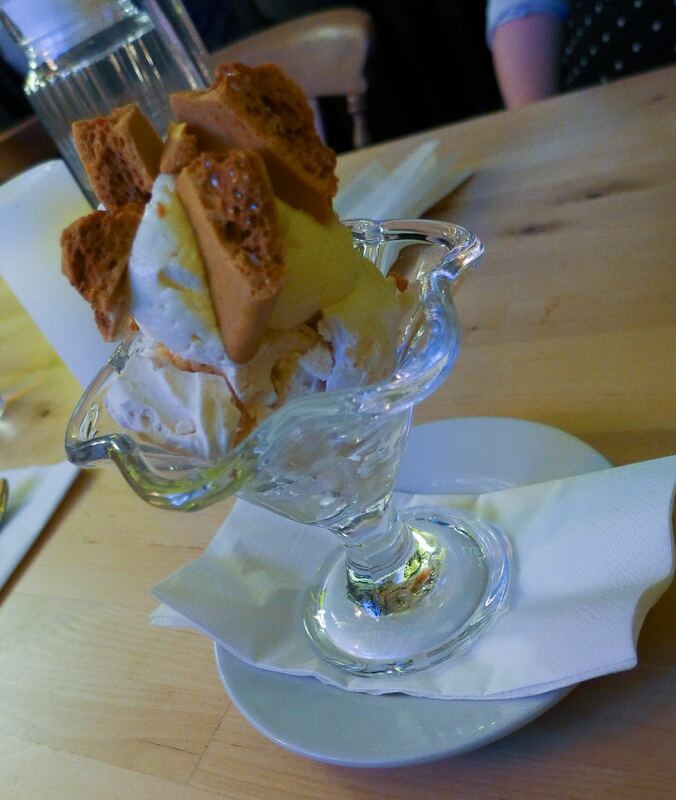 A slightly underwhelming finale didn’t spoil what was a really enjoyable meal. Service, from Zulu’s partner Sarah and others, was full of the easy warmth that comes when people genuinely care about the business. The Doors’ Strange Days album accompanied the majority of our dinner, which, considering some of the trinkets that surrounded us, seemed apt. A glass of Montepulciano was one of the better house reds I’ve come across lately. Our bill topped out at just under £60, including service. 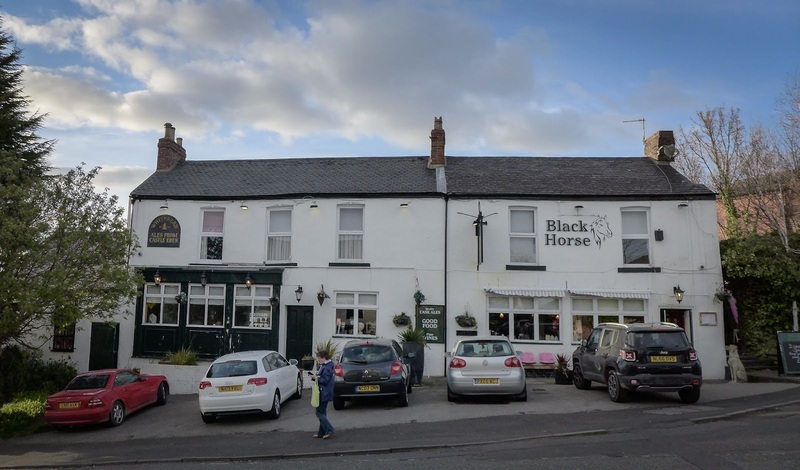 It took us a while to find The Black Horse – it didn’t help that every pub in Boldon seems to be named after a colour and an animal – but I’m glad we persevered. It’s refreshing to find someone resolutely ploughing their own furrow with scant regard for interior design orthodoxy. But whilst there might be a bit of punk to the décor, the food is full of good sense and taste. Judging by the healthy crowd of regulars on a weekday evening, it seems I’m not the only one who thinks it’s a winning combo. Pete wasn't the front man with the Toy Dolls, that was Olga. Pete faffed about with the bass. It's a fab pub. Pete and Sarah really care about their place. Wish I lived nearer.